When it was dropped at the end of the 2014 model year, Subaru’s Tribeca was both the oldest and least popular model in the automaker’s lineup. But given the strong demand for reasonably-priced SUVs with third-row seats, it was only a matter of time until a replacement arrived. 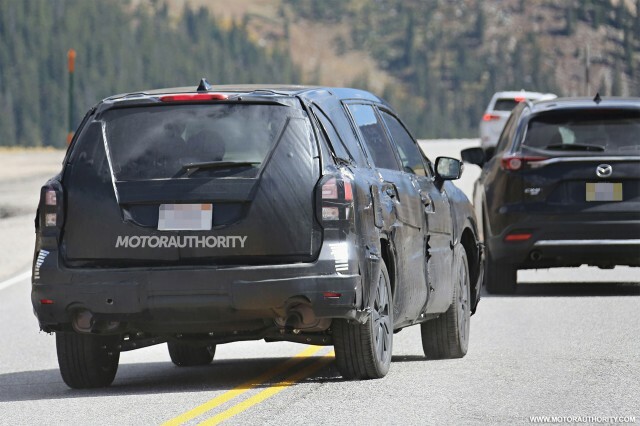 That replacement has now been spotted in prototype form, testing alongside a Ford Motor Company [NYSE:F] Explorer and Mazda CX-9. The new SUV is larger than the Tribeca and will be offered as standard with third-row seats. It’s designed around the Subaru Global platform which in shortened form debuted in the 2017 Impreza. Look for the sole powertrain to be a version of Subaru’s familiar 3.6-liter flat-6, paired with a CVT. All-wheel drive will be standard, of course. Subaru has confirmed production will commence in 2018 at its plant in Lafayette, Indiana. The plant is where the automaker produces its Legacy, Outback and latest Impreza. 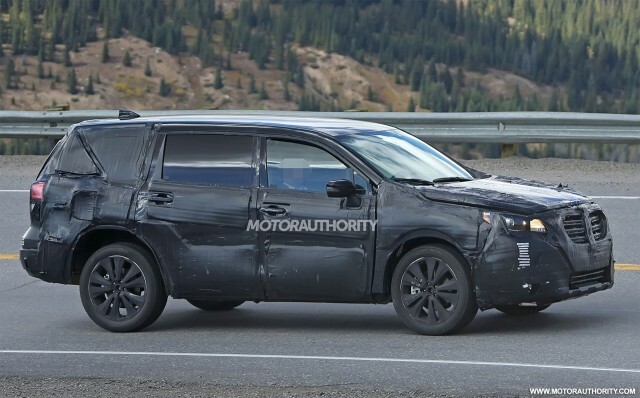 What Subaru is yet to confirm is the vehicle’s name, though the automaker hints that its new SUV will wear a badge synonymous with “outdoor adventure.” One possibility is Ascent 7, which Subaru recently filed trademarks for. A debut should take place at one of the major North American auto shows in 2017, most likely April’s New York auto show. Hasselblad X1D and Zeiss Otus 85mm: The Ultimate in Image Quality?